Pampa Independent School District – Pampa High School, more specifically – has been honored by the country's leading higher education testing organization. 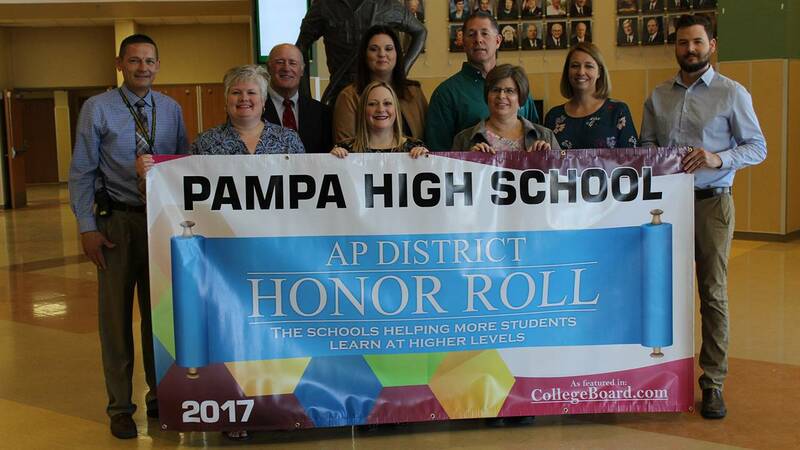 The College Board, which administers Advanced Placement courses and exams, has named Pampa ISD/Pampa High to its eighth-annual AP District Honor Roll. To make the honor roll, the College Board looks at three years of school AP data. Honored schools must have increased student participation in and access to AP classes; increased the number of minority students taking exams and scoring at least 3 or above (out of 5); and increase the overall percentage of students scoring 3 or above. Students can earn college credit based on their scores on advanced placement exams. Across the U.S. and Canada, 477 schools fit those criteria and only 28 schools in Texas were among those honored. State. Sen. Kel Seliger visited Pampa High on Monday to help teachers and district officials celebrate the recognition.